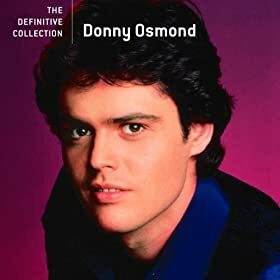 Yo-Yo by The Osmonds comes under the genre Pop,General. It was released on 23 Nov 2009 under the label of Polydor. Copyright holded by (C) 2009 Universal Records, a Division of UMG Recordings, Inc..
Ho, ho ho, just like a yo-yo. Ho, ho, ho, just like a yo-yo. how you got such a hold on me. First I'm up, and then I'm down. Then my heart goes around and around. who'll climb up a string for you. you control every little thing I do. you keep changin' like the weather. Whoops! Now up and down like a yo-yo. well it all just depends on you. You build me up just to let me down. But I dare not to make a sound. like a beat up, worn out toy. just to be your lovin' boy. Yo-Yo Lyrics are the property of the respective artists, writers and labels. These lyrics are provided for eduacational purposes only. Please buy the song if you like them.